Acoustic pop songstress GOSTI returns to the Wesley Anne to launch her third single – Charlie – from her album The Travel Tree. Scheduled for Saturday 9 November at The Wesley Anne, Gosti will be performing an unplugged set with cello, french horn, hand percussion and acoustic guitars. Jeremy Doolan and Mark Joseph will be supporting. Gosti’s wind-swept lyrics tell tales of nostalgia and fragility. Her smoky intimate voice is accompanied by a menagerie of acoustic instruments and is snug in Melbourne’s indie-folk scene. 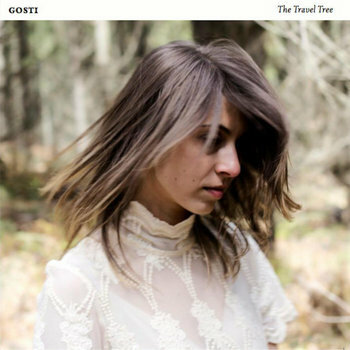 Gosti has received high rotation radio play on C91.3 in Sydney, performed at various festivals and won the Songs Alive Australia songwriting competition in 2012. After a sabbatical in Canada to write and record her ambitious new album The Travel Tree, Larissa returns to Melbourne to bring her latest songs to the stage. You can also hear this track live on The Aussie Sound! Previous PostExclusive Special Interview: The Potbelleez!